When most Americans think of wine regions, their minds immediately go to Napa Valley in California. But did you know that all the way on the other side of the country, Rhode Island’s own farmers are busy perfecting their own local wines? Take a drive out along the New England countryside and make sure to book a tasting tour at one of these fine wineries in the Ocean State! Newport Vineyards brings a quintessential Napa experience to New England. Book a tasting and sample five of the vineyard’s own wines, and then keep the glass after! With a location so close to downtown Newport, you have no excuse not to go! This lovely vineyard is home to a tiny, cozy café for wine sampling during the winter months and an even prettier outdoor seating area with an expansive view during the summer and fall. As you cruise down Route 77 and make your way toward the winery, you’ll know that you’re heading toward an incredible experience. Hidden back in the woods of Foster, Rhode Island, is this beautiful little vineyard, just miles away from the highest point in Rhode Island. Run by a family, Nickle Creek Vineyard and their incredible staff will take care of you from start to finish. Enjoy their extensive selection of wines, including lots of fruit wines, too! During tastings during the summer, this vineyard blasts live music and welcomes crowds to their beautiful, expansive property. This vineyard touts the fact that their grapes are grown right on their property. Enjoy a picnic on the grounds or enjoy tasting indoors! While this vineyard may seem off the beaten path, it’s a popular place for wine tasting in Rhode Island, and it has rightly earned its reputation! The vineyard was started by biology professor Jim Verde, who was inspired by his passion for science to open a vineyard during his retirement. This winery truly embraces Rhode Island’s quirky culture. The staff is friendly, the piano player supplies a fun atmosphere and to add to the fun, when you’re reviewing wines you can rate them from one to five “cats,” adding a “dog” if the wine really pleased your taste buds! This little winery is a peaceful place to enjoy a wine tasting. Their wine sommeliers are friendly and knowledgeable, and will gracefully welcome you to this Rhode Island country setting. Getting to this vineyard, you’ll take a dirt road all the way down to a grass parking lot and then walk up to a lovely Victorian home setting. 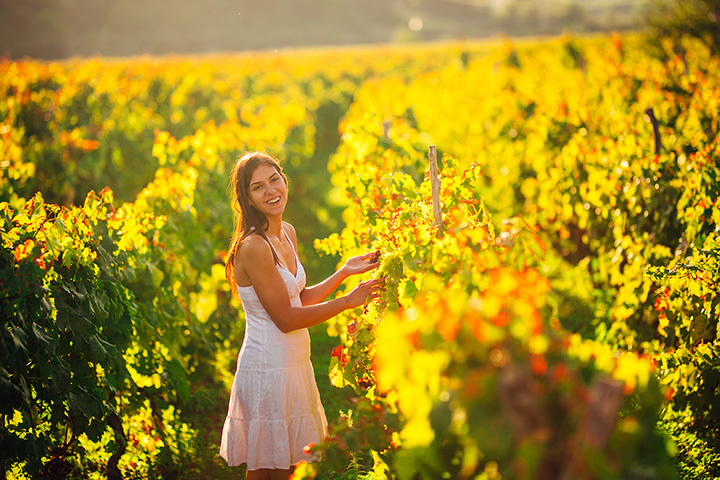 Like any local vineyard, you’ll love the customized and cozy experience. Their specialty? Fruit wines you’re sure to love! You will be sure to love the sweet family that runs this vineyard! The tasting area is spacious and big enough to welcome large crowds. Though the vineyard is fairly new, guests love the place and also enjoy taking little hikes around the property, too! Although Leyden Farm and Winery does not grow their own grapes, they do still offer a great space for picnicking and trying lots of their fruit wines! Guests love their charming property and excellent service. View more Rhode Island Wineries & Vineyards.